The Wombats are set to return to Liverpool to celebrate the release of their fourth album, Beautiful People Will Ruin Your Life. 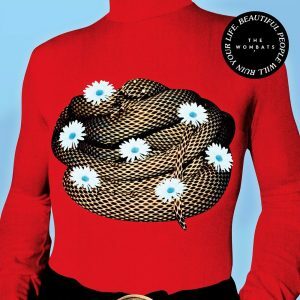 The Wombats fourth album, Beautiful People Will Ruin Your Life due out February 9th. The Wombats are back and are gearing up to release their follow-up to 2015’s Glitterbug. Beautiful People Will Ruin Your Life is due to be released on February 9th. Their return was announced with the release of lead single ‘Lemon to a Knife Fight’ earlier this month along with details of a UK tour in Spring 2018. However, it was noticed that the band didn’t include a Liverpool date. Tickets for the intimate performance are just £8 for those who have pre-ordered the record and go on sale this Monday (November 27th) from the band’s official website. The Greek Tragedy trio recently performed at Liverpool’s Guild of Students in July, celebrating the 10th anniversary of their debut album A Guide To Love, Loss and Desperation. The Wombats fourth album Beautiful People Will Ruin Your Life is out on Friday 9th February.